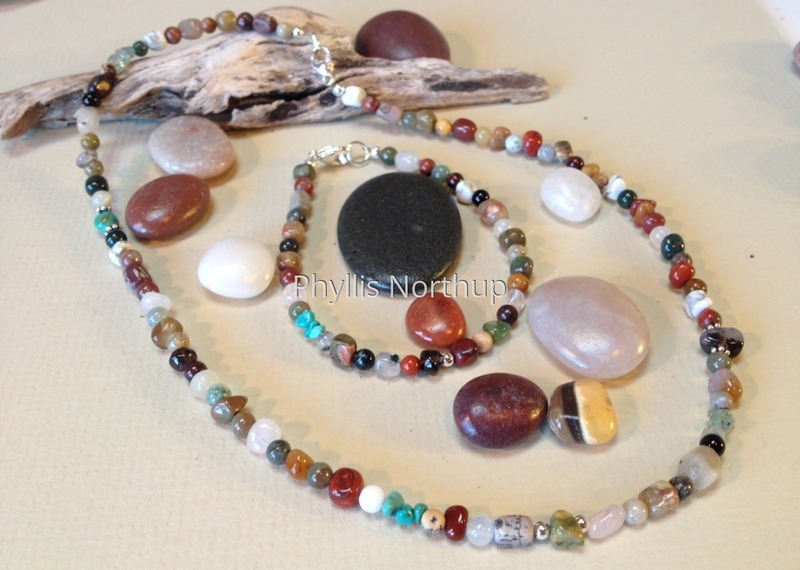 Earthy yet delicate, this set will be sure to please anyone who loves rocks and nature! The multitude of colors in the assortment of gemstones makes these pieces very versatile and can be worn with almost anything. Save $7.00 off of individual prices by purchasing the set. Prices include shipping.